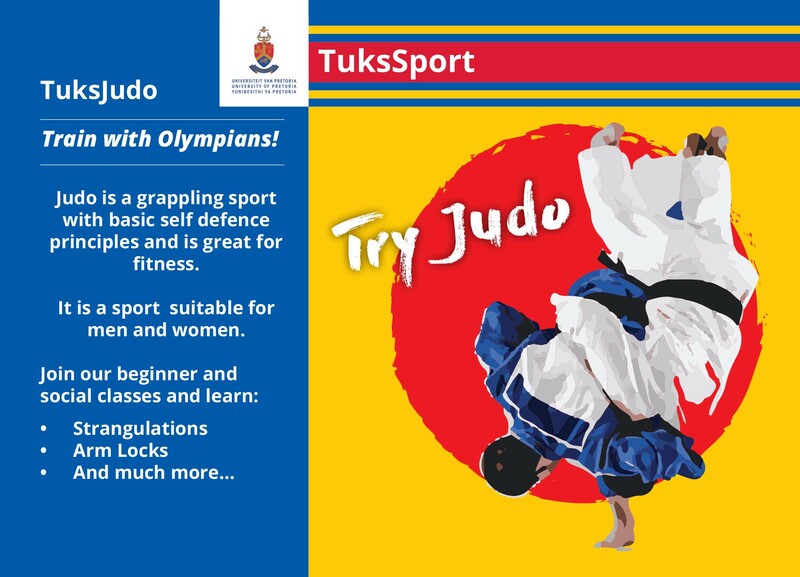 TuksJudo is an open club, which also open doors for community members and youth who are still in high schools. 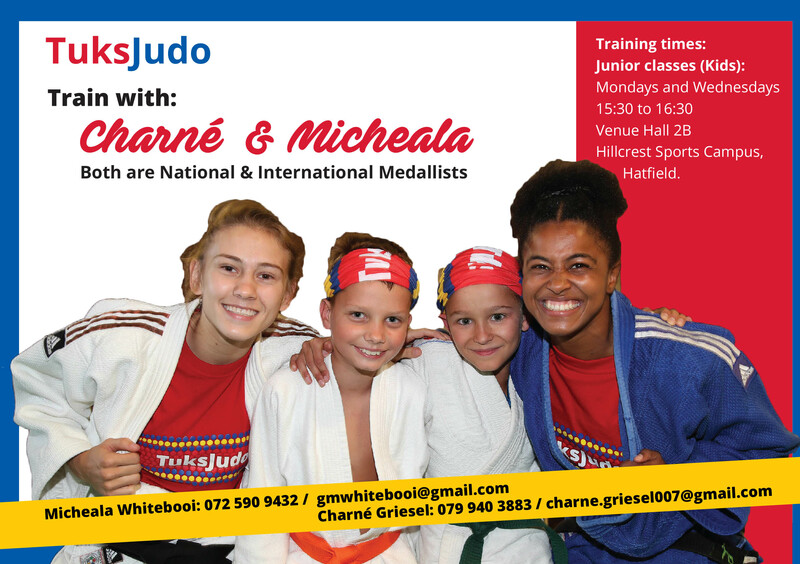 The club is affiliated to Gauteng North Judo Association, which in turn is an affiliate of Judo South Africa. 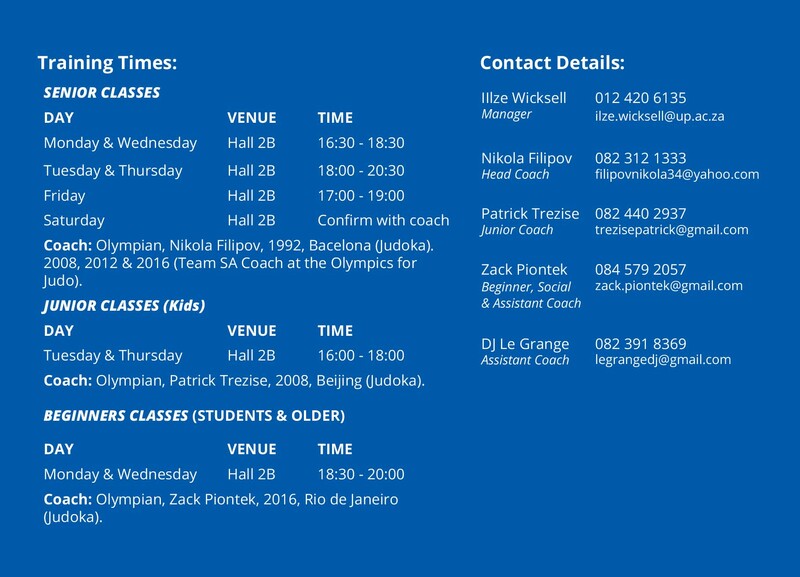 The club has been consistently producing magnificent national judokas who represent the country in the major events. Judo has by now developed into a modern Olympic sport. The origin and development of judo was a combative sport demonstrating the superiority of techniques over strength. Thus, the modern judo was developed, respecting its technical system and combative method. In Judo various creations of techniques are possible and, at the same time necessary by means of “Standing” and “Ground”. These points have established judo as a modern and dynamic sport, possessing a strong fascination.